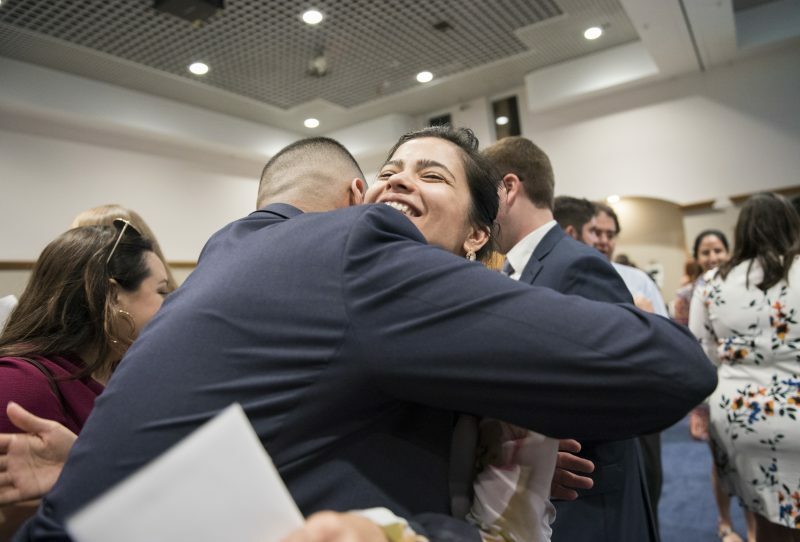 Ottavia Green reacts after matching into an anesthesiology residency at Barnes Jewish Hospital in St. Louis. 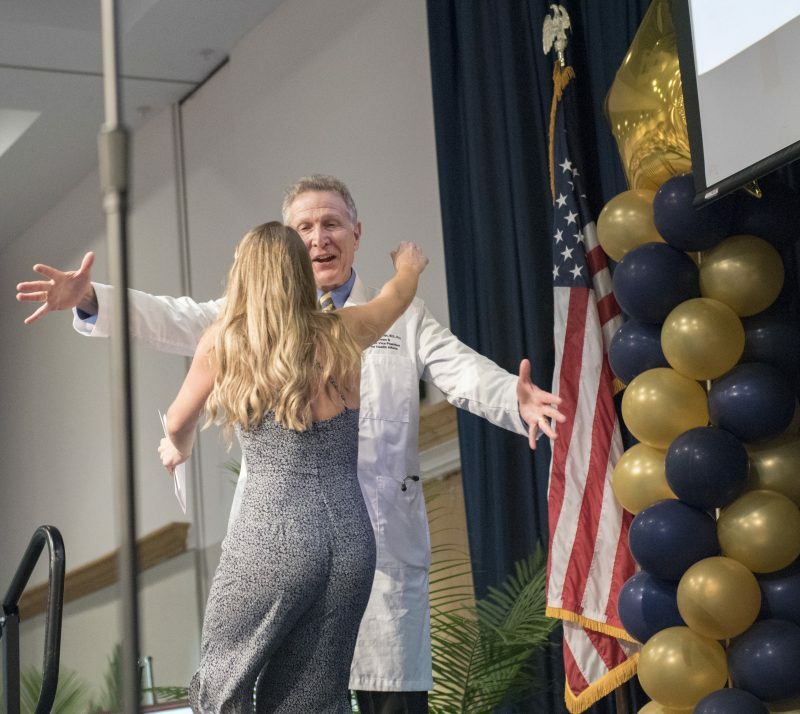 The Herbert Wertheim College of Medicine’s 2019 graduating class gathered Friday, March 15, for Match Day, an annual rite of passage for medical students that celebrates the culmination of years of studies. 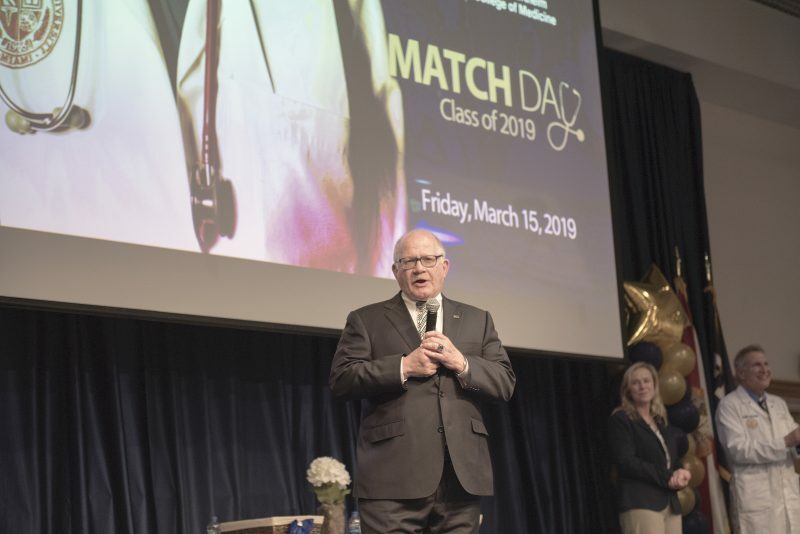 The Match is a highly competitive process that matches students with residency training programs at teaching hospitals throughout the United States. And the wait to find out results can be nerve-wracking — medicine’s version of March Madness. 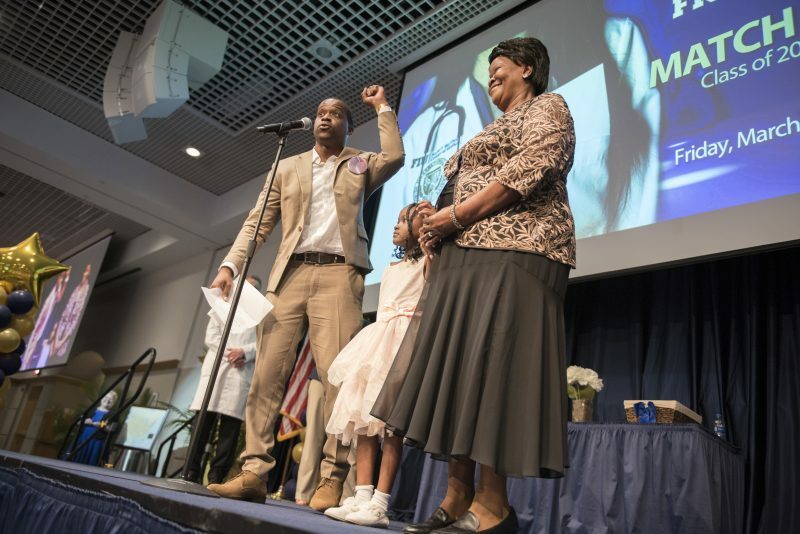 Carol Marie Fraley brought her family along for the surprise. “I couldn’t be happier. 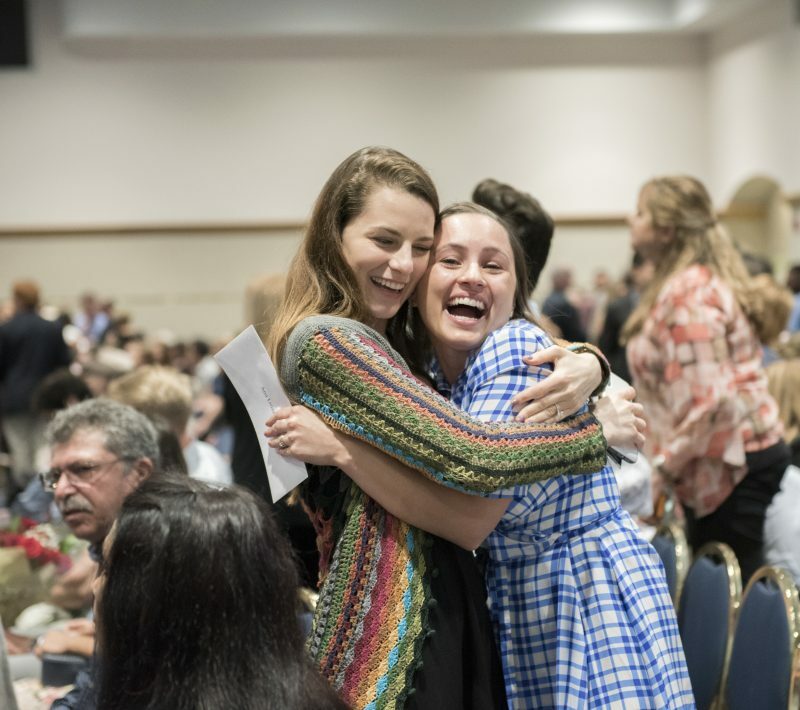 I’m going to Vanderbilt for pediatrics,” she says. It was her first choice. 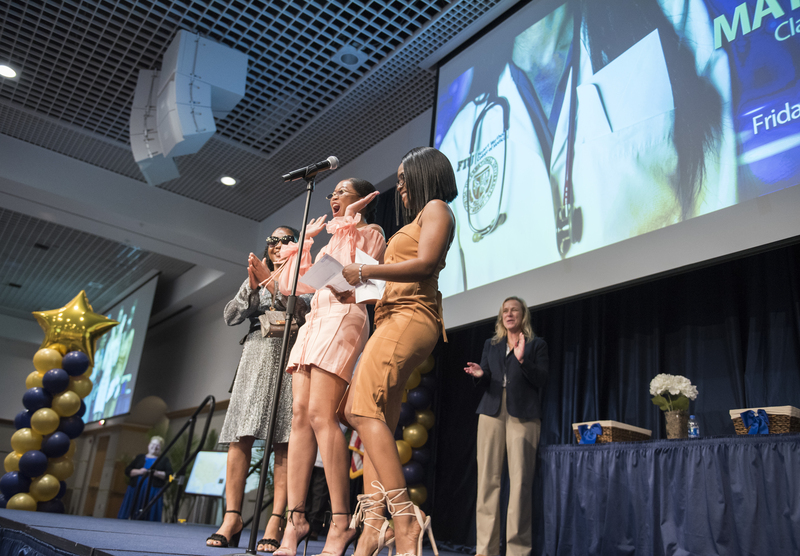 At this year’s event, students heard encouraging words from the college’s namesake Dr. Herbert Wertheim and FIU President Mark B. Rosenberg, and there was some unplanned excitement when the fire alarm went off—a false alarm. 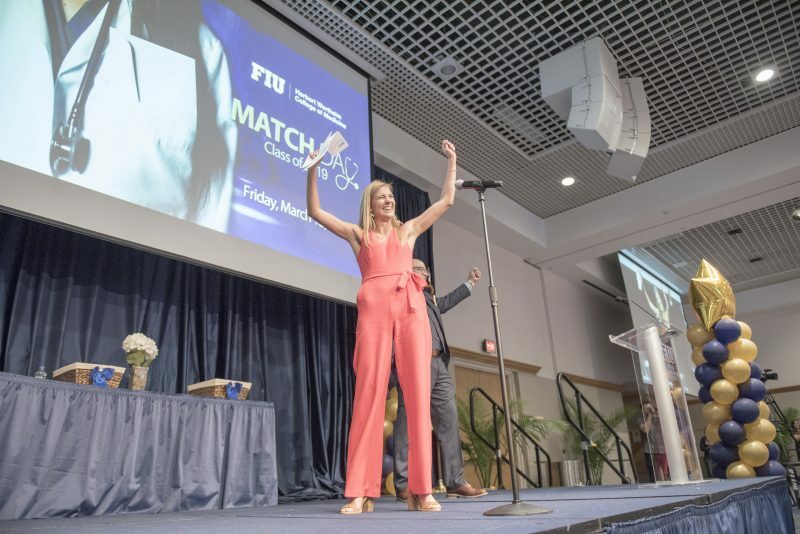 But the real sparks came when students opened the envelopes that contained their match letters. Christian Oliveros raised both hands in victory and signaled No. 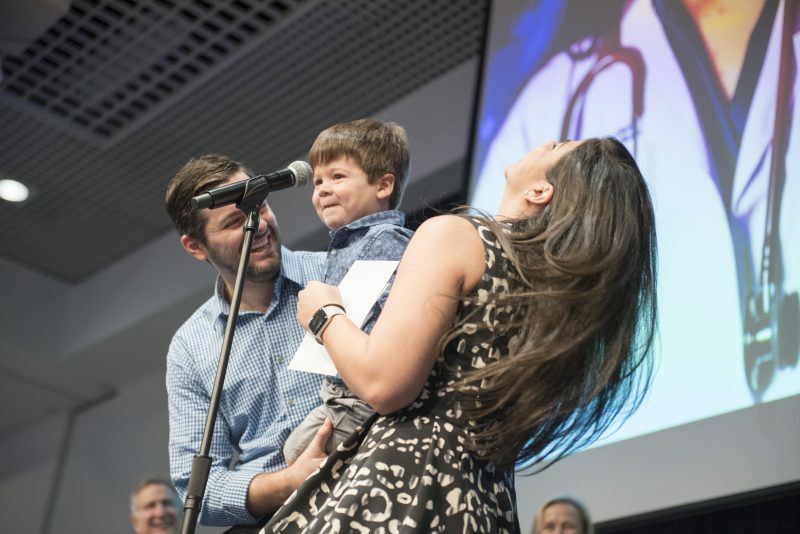 1 with each of his index fingers after learning he’d landed his top choice, a pediatrics residency at Children’s Mercy Hospital in Kansas City, Missouri. 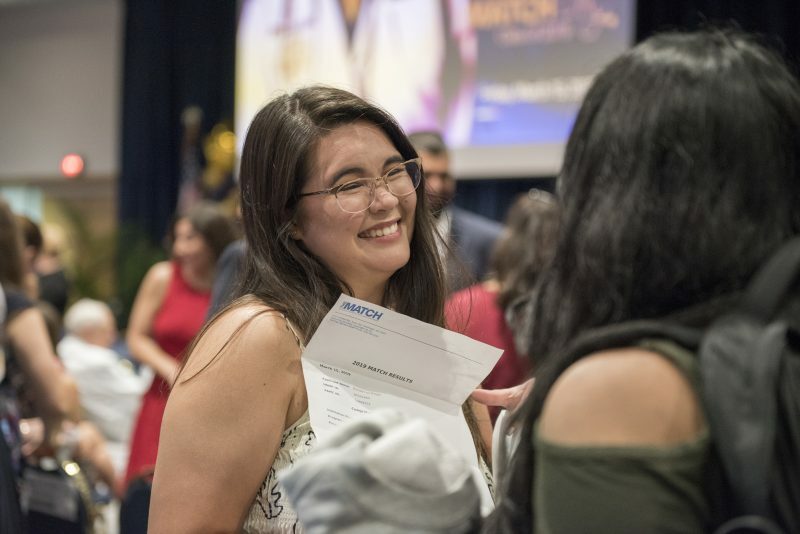 This is how The Match works: In the fall, during the final year of medical school, students apply to the residency programs of their choice. Then, applicants interview with programs. 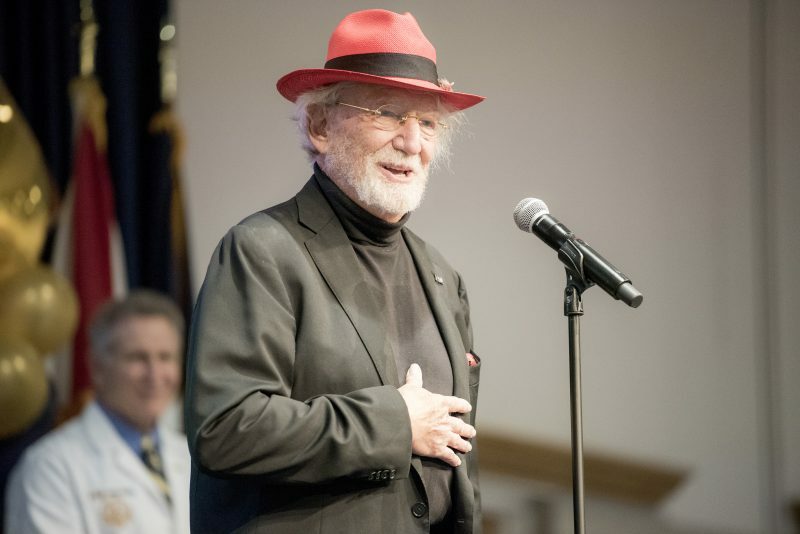 Applicants and program directors rank each other in order of preference and submit the preference lists to the National Residency Matching Program, which processes them using a computerized mathematical algorithm to match applicants with programs. The results are announced on Match Day. 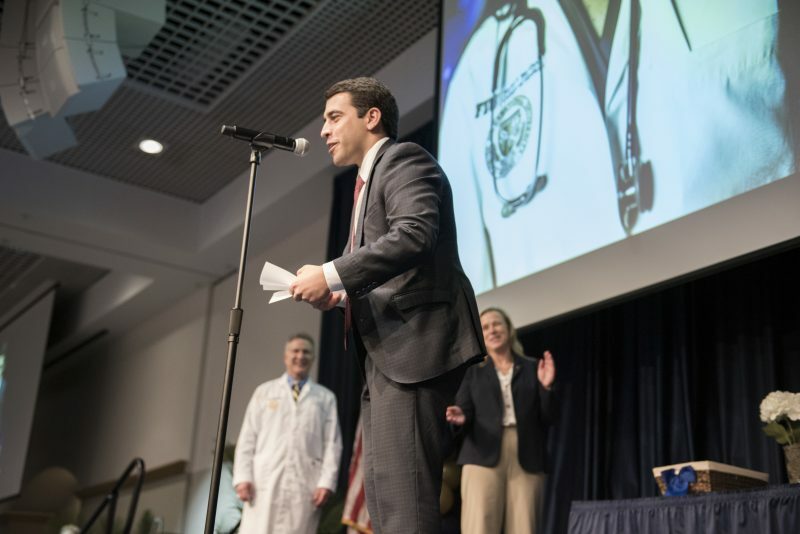 A record number of more than 38,000 medical students vied for just over 35,000 residency positions, this year. 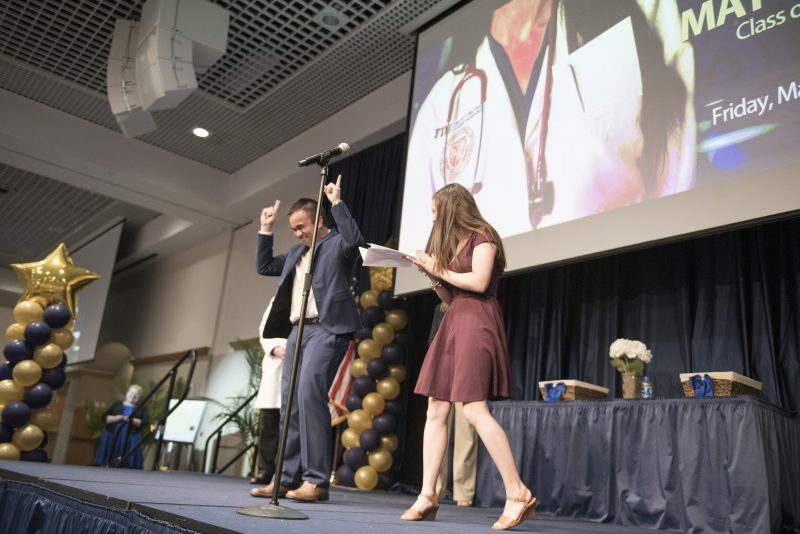 In another impressive showing for the College of Medicine, 99 percent of the Class of 2019 received internship spots. 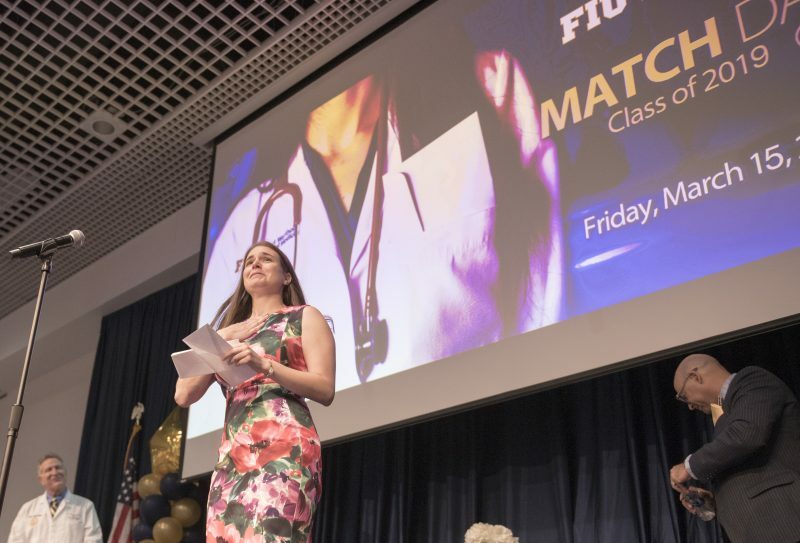 Of the 119 FIU students who entered the match, 47 percent will complete residencies in primary care specialties; 47 percent will be doing their internship in Florida; and 27 percent will continue their medical training in South Florida. These numbers are significant due to the critical need for primary care physicians nationwide, and the tendency for doctors to stay and practice in the vicinity of where they trained. 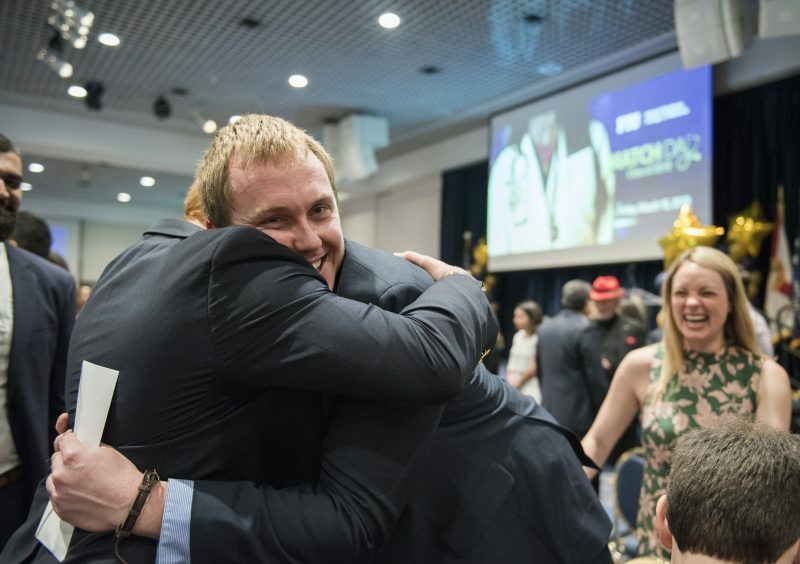 HWCOM students also scored residency positions in very competitive fields including, urology (1), ophthalmology (4), orthopedic surgery (3), neurosurgery (1), radiation oncology (1), otolaryngology (1) and radiology (10). 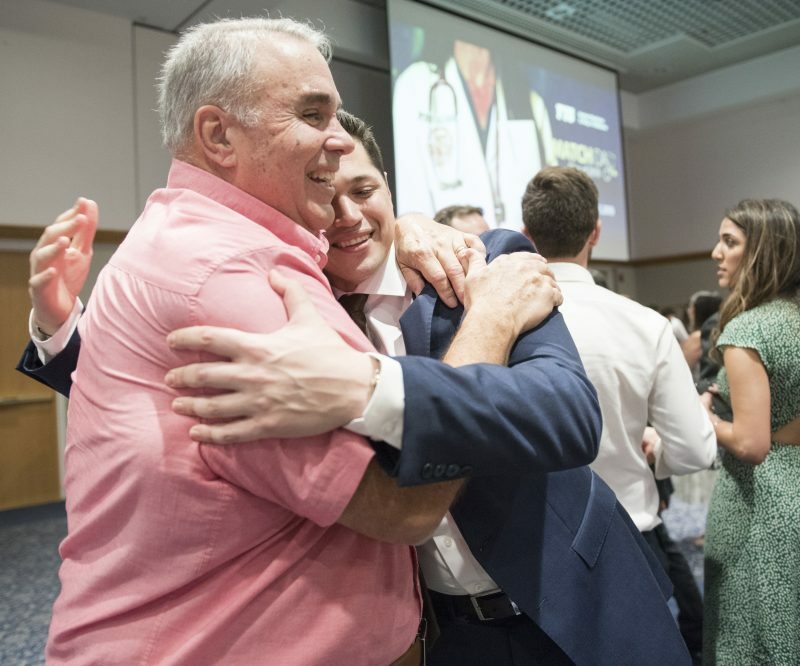 For Dr. Sackstein, this was his first Match Day at FIU, and it brought back memories of his days as a medical student at Harvard waiting to know his fate in The Match. Link us to the match list! The link is at the end of the story. The list is at the end of the article. The list has been updated. 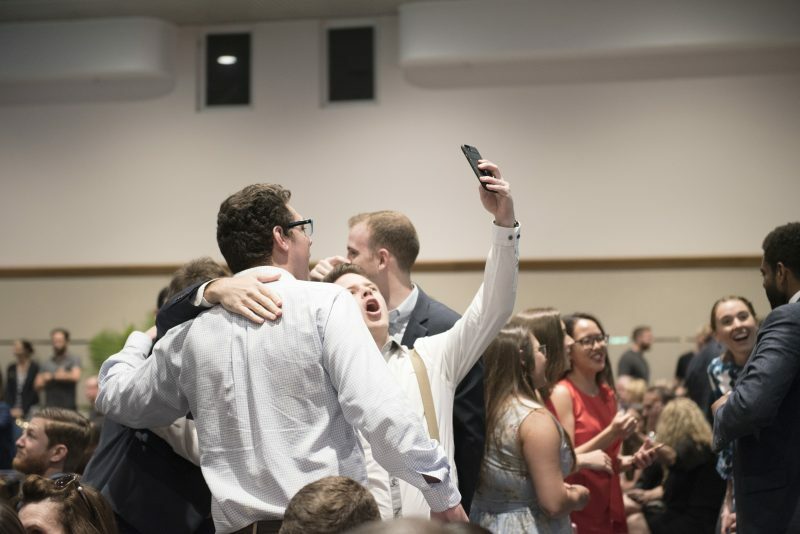 Students who opted out of Match Day are not included.